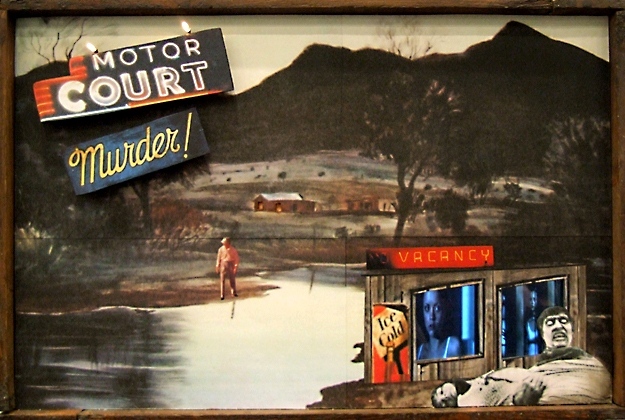 Motor Court Murder plays a video in each of the two windows, of a woman frightened and looking out the window. The soundtrack contains suspenseful music, crickets and an owl, and a dog that barks aggressively a few times. It is about the buildup of fear when one is alone at night and hears something outsidehow, as the minutes pass, the fear grows and every sound is a possible boogeyman.